Here is my hypothesis: Japan has a long ongoing love affair with humanoid robots. The love seems so strong that they are willing to accept faults and imperfections that to others make the robots seem eerie, if not downright creepy. 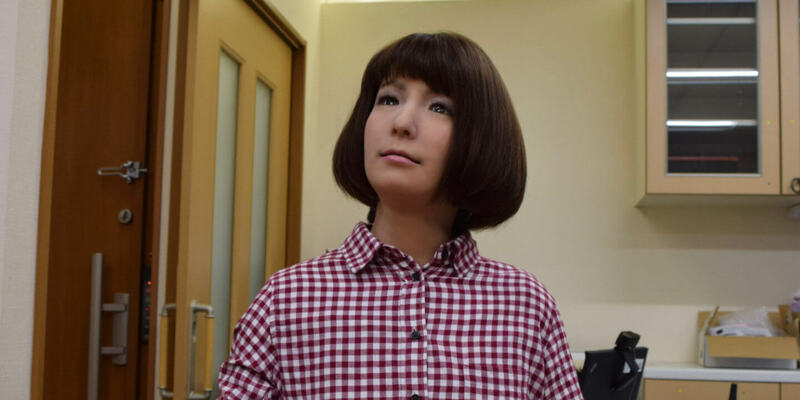 I would argue that Japan’s love affair with “creepy” robots shows a glimpse of the future — not just for Japan, but likely for the world at large — including where you live. Defining what constitutes a creepy robot takes us straight to Japan. It involves the concept ‘The Uncanny Valley’ (translated from ‘Bukimi no Tani Genshō’), which was coined by Japanese robotics professor Masahiro Mori in 1970. It means that there is a correlation between how human a robot’s appearance and actions are and how we view them. The more human-like, the more positive we respond — until a point when they get too close to acting and looking like us. Then our levels of empathy and acceptance drop and give way to revulsion. As the robots get even more human-like, our acceptance and empathy rapidly rises again. In other words, we have some sympathy and empathy for the Aibo robot dog, more so the cute sort of human-looking Pepper and ASIMO, until, it seems, we get to some of the most humanoid/android — and most advanced — robots in existence today. This is where I think things get interesting. There seems to be no clear-cut answer to which robots live in the uncanny valley. Or whether the answer to that would be different in Japan compared to in other countries. A good place to start looking for an answer is with a couple of present-day examples of robots in Japan. One is Toshiba’s Aiko Chihira, which has worked as a receptionist in Tokyo department stores. Another example comes from Dr. Yoshio Matsumoto and his team at AIST, whom I visited in the spring of 2016. They ran a test involving putting their Actroid F twin androids in doctor’s offices as support for patients during consultations. The results showed that patients generally felt their doctor was more sympathetic, better understood what they were being told, and generally felt less anxious when the android was in the room with them. The video here shows two of the robots in question. If you live outside Japan, your response (on average) to the robots above is likely that they seem slightly eerie. Part of the reason for the varying response is likely the cultural and religious differences between Japan and the West. The photographer Luisa Whitton explored the world of Japanese android robots in her project ‘What About the Heart?’. Henry Scott Stokes’ 1982 article in The New York Times illustrates the real-life expression in Japanese society of this beautifully. He describes how new industrial robots in Japan were often first blessed by Shinto priests, after which the employees burst into applause, welcoming “the new member” of their team. Typically, Stokes says, workers would greet the robots at the start of the working day by saying “ohayo gozaimasu” (good morning). Imagine a similar scenario playing out in 1982 in a GM or Ford car factory. Thought not. These differences are mirrored in modern media. Post-war Japan got to know androids through Astro Boy, a small, helpful robot boy. The western world got to grips with them through Arnold Schwarzenegger’s Terminator. So where does science stand on the Japanese love affair with robots — including the creepy ones? While research into the uncanny valley has exploded in recent years, the effect of culture and nationality on people’s perception of robots is still relatively untouched. At the same time, there is no clear scientific conclusion about which robots belong in the uncanny valley and which do not. The studies that have touched upon this area come to different conclusions. Some say that culture has a large impact and that Japanese people have a greater liking for robots than most people. Others indicate that the Japanese do not actually have a higher acceptance of — or love for — robots than anyone else. One thing the studies mostly agree on is that exposure to robots plays a big role in how people perceive them, and that Japanese people are generally more exposed to them than anyone else on the planet. Exposure and need spells love of robots? This exposure is one part of what I think might be the key to why Japanese people in general find robots acceptable, including the eerie ones. I live in Tokyo, and I encounter robots — not to mention other kinds of automated systems — in my day-to-day life way more than most people. Sorry, that was (sort of) bragging, but it serves to illustrate the point that the Japanese likely encounter helpful robot systems a lot more than people in other countries do. While it is arguable whether or not robots are viewed more positively here, it is hard to argue with the fact that Japan is busy deploying robots for many different tasks. It is, in fact, an initiative that the government believes will help revitalize the Japanese economy. Robots are already used in health care and in elder care. One interesting result has been that elderly people, reticent to bother busy staff, sometimes happily use the robots as conversation partners. Japan is aging rapidly, but the same can be said for many parts of the rest of the world. The words ‘elder burden’ have the effect on most politicians that the word ‘bubble’ has on Silicon Valley investors. Impending worker shortages will hit many countries in the coming years, affecting many sectors, including healthcare and eldercare. The current reaction for many westerners might well be ‘run away!’ when confronted with the possibility of having robots care for them or interacting with them in other ways. However, if that reaction is largely down the people’s perception of which robots inhabit the uncanny valley, I think there are a couple of conclusions to be drawn. One is that if the uncanny valley depends on historical and cultural phenomena and exposure, those are all variables. History evolves and cultures change. Exposure to robots will increase as more and more are deployed. In other words, we end up seeing more of them. Secondly, while it is not a given that Japanese people love creepy robots, they are integrating them in areas of society where many cultures are reticent to see them. Part of the reason why this seems to be going smoothly is that Japanese people have been exposed to robots — and positive representations of robots — more than most other people on planet. The results indicate that love of robots is at least partly a question of meeting them and finding that once you get to know them, they really are not that creepy at all.